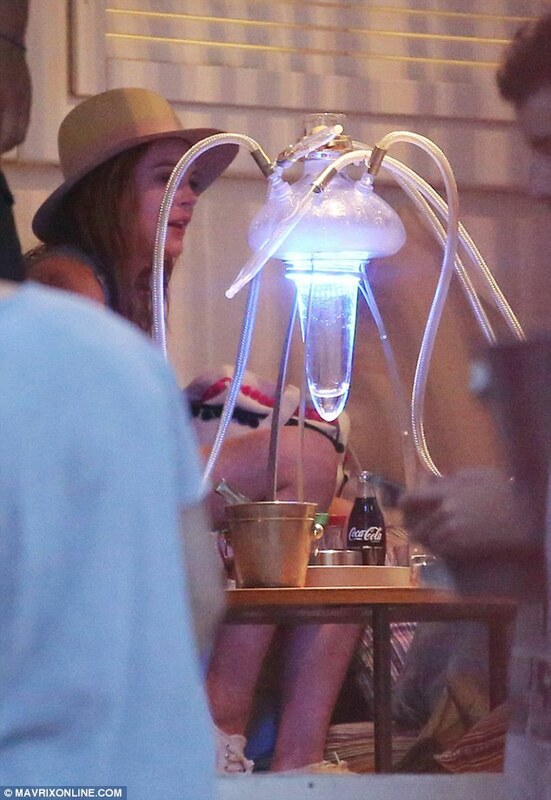 Lindsay Lohan got into the spirit with the help of an elaborate smoking device. 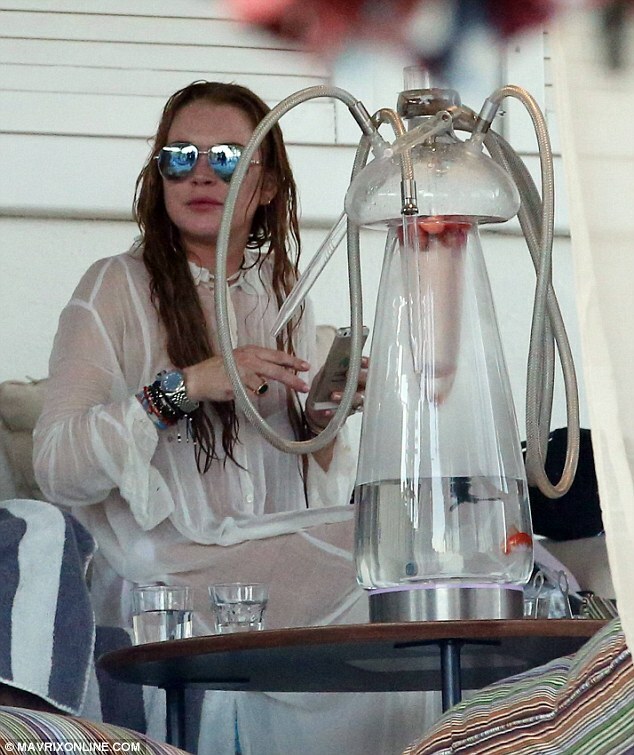 The 28-year-old actress got her fair share of smoke too as she was seen puffing on a glass-based water pipe or ‘hookah’ as it’s called during her vacation on the Greek island of Mykonos. 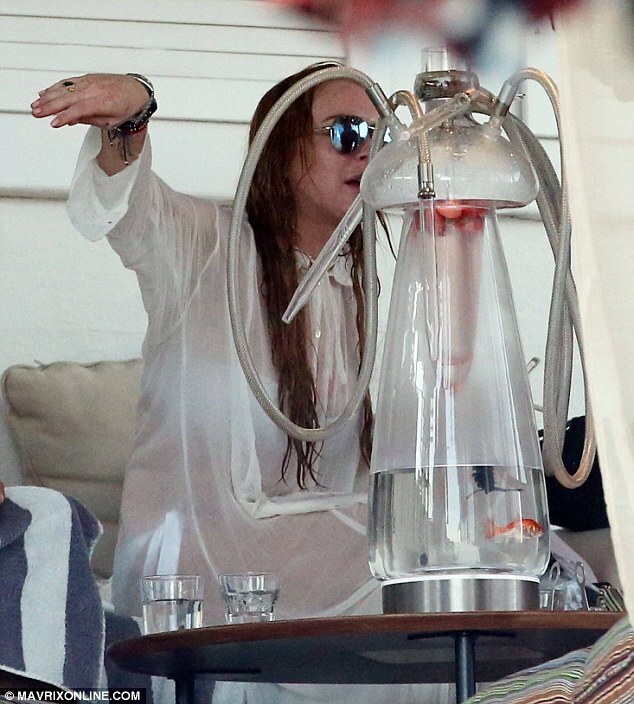 Lindsay appeared to be enjoying a restful moment on Tuesday in a cosy alcove at her hotel, wearing a white linen smock and reflective sunglasses. The hookah, in which flavoured tobacco is passed as vapor or smoke through a water basin before being inhaled through a long tube, sat on a table in front of Lindsay in all it’s multi-stemmed glory. The glass bowl was filled with clear water in which swam a single goldfish, which is quite a common decoration among hookah-users, and hovering at the top of another inner glass container were sliced strawberries to sweeten the vapors. Obviously there is no end to the adventure for pleasure-seeking Lindsay. 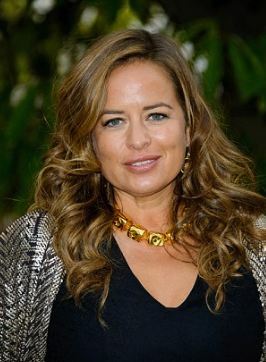 She seemed to be wafting in the aroma as she enjoyed the company of a dark and handsome, young bearded man with muscular physique. Curiously, Lindsay also held a lit cigarette between her fingers while her long, dark-red hair hung in a damp clump over her shoulders. A slight pinkish tint covered her face, a sign of all the fun in the sun she’s been having while on vacation with friends in the Mediterranean.